Enerpower were delighted to recently work on a solar panel installation in Wicklow for the Dominican Sisters from An Tairseach Ecology Centre in Co. Wicklow. The Dominican Sisters practice sustainable living and environmental education at their centre in Wicklow town. The aim on site was to provide a commercial solar power that is sustainable and an emissions free solution to the energy needs on site. 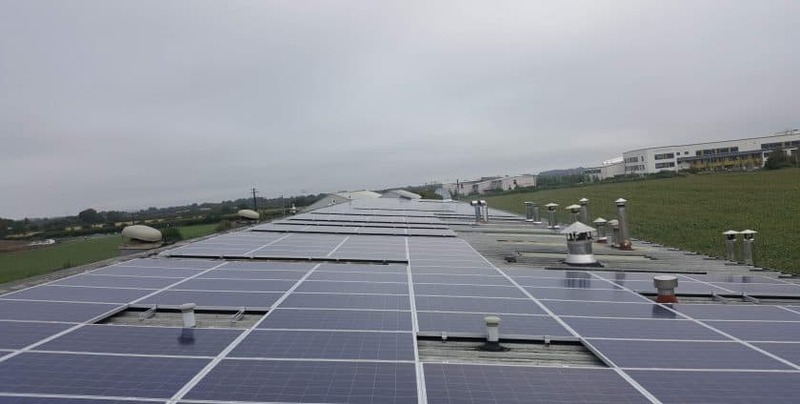 At the farm shop located on site, this solar panel installation is an 11kwp system, which will give the Dominican Sisters significant cost savings on their future electricity requirements and demands. With sustainability and the environment at the centre of their teachings, solar energy is the perfect solution as it is harmless to the environment and is environmentally friendly. For this 11kwp solar panel installation in Wicklow, we installed Denim Solar Panels, which guarantee a long life, and optimum performance. The double-walled black aluminum frame gives the panels extra strength. This makes the panels very resistant to both high wind load and heavy snow load. One of the benefits of solar panels is Solar energy is clean, affordable and a sustainable way for anyone to generate electricity. Solar PV panel technology will provide green energy as it is given by nature and creates absolutely no waste or emissions. Solar panel efficiency is high as by installing an 11Kwp system. The Dominican Sisters, will generate up to 11,000kwh of renewable electricity per annum resulting in saving of 6,500kg of C02 emissions annually. Financial support may be available for you to install renewable energy at your business. Grants, such as the Better Energy Community is available. At Enerpower we have been very successful in securing grant funding for businesses like yours. A solar pv grant will assist your significantly and reduce your return on your investment. We manage the whole process so that you can enjoy the savings. If you would like to find out how you can generate renewable energy for your business using Solar PV technology, call us today on 051 364 054. Enerpower can carry out a detailed survey at your property and offer you a bespoke solution that suits your business and circumstances.